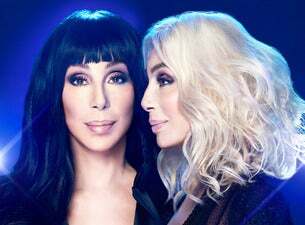 Cher has announced that she’ll be returning to the UK and Ireland for a headline tour in October & November 2019, taking to London, Manchester, Birmingham, Glasgow, Leeds and Dublin. The Academy Award, Emmy and Grammy Award winning icon will kick off her dates on 20 October 2019 at London’s O2, running through until the 30 October 2019 at Leeds’ First Direct Arena. Cher’s Believe went on to reach the No.1 spot in many countries across the globe, including the UK and the United States, being certified 3x platinum this side of the Atlantic. Her forthcoming live shows promise an array of hits from her 26 solo albums, including cuts from her most recent Dancing Queen release – her tribute to the music of ABBA. Cher first emerged onto the scene as part of Sonny & Cher with the huge I Got You Babe, and simultaneously kickstarted her solo career. She has since sold more than 100 million records globally, making her one of the most influential and successful recording artists of all time. Her career includes film performances – such as the recent Mamma Mia 2: Here We Go Again – turns on Broadway and in television, and as a director. Her catalogue includes the ageless Bang Bang (My Baby Shot Me Down), If I Could Turn Back Time, The Shoop Shoop Song (It’s In His Kiss), Strong Enough and Gypsy, Tramps & Thieves.